With John P. Painter PhD ND. Flying Dragon Qigong® is a Taoist exercise created to open and prepare the three internal energy centers known as San Daguo三大鍋 (three cauldrons), Jing-Daguo 精大鍋(essence cauldron) Xin Daguo 心大鍋 (heart cauldron) and Shen Daguo 神大鍋 (spirit cauldron). 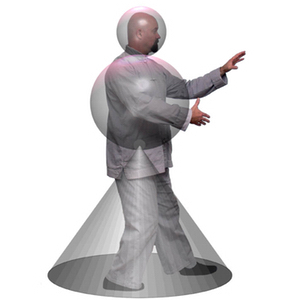 Devised by the Li family, Flying Dragon Qigong creates a mind / body internal cleansing and stimulation therapy. Part one creates awareness and prepares the San Daguo for receiving internal energy often called Qi. 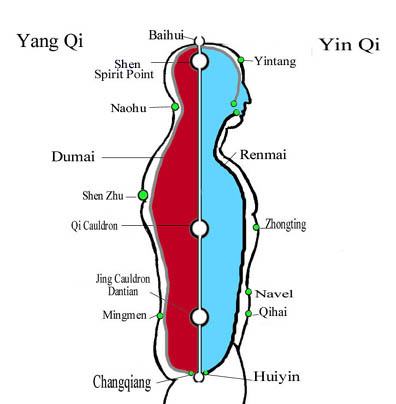 Part two of the exercise begins the powerful method of Qi circulation Da Zhou Tian 大周 天 (grand heavenly circuit). Part three uses the energy developing in the Da Zhou Tian to stimulate the internal central Qi channel Chong-Mai衝脈to increase energy in the San Daguo三大鍋 (three cauldrons). Taoists believed this practice was the key to longevity and radiant health. Practitioners seemed to have resistance to illness and age more slowly than non-practitioners. Research has shown that the method also stimulates the entire body, internal organs, nervous system, lymphatic system, cardiovascular system, and Qi meridian system through physical actions coupled with mental visualizations while walking in a circle. Practicing this simple series of forms and visualizations will pave the way for an increase of Qi flow through your meridian Qi channels. This practice will also calm the mind and induce a state of tranquility similar to seated or standing meditation. 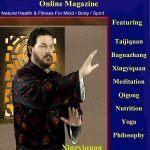 Many people have reported decreased stress levels, reduction in blood pressure and a dramatic improvement of stamina and overall health resulting from Flying Dragon Qigong practice. Flying Dragon is simple and easy to learn and can be practiced in very little space. It is truly an ancient exercise for modern stressful times. No previous Bagua experience is necessary. 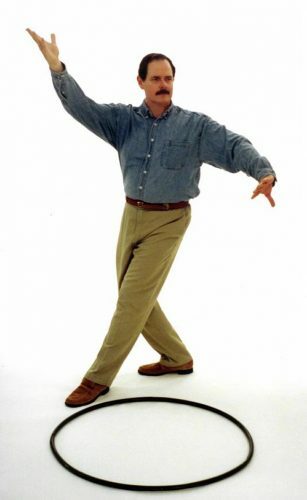 It is like standing meditation while walking in circles. 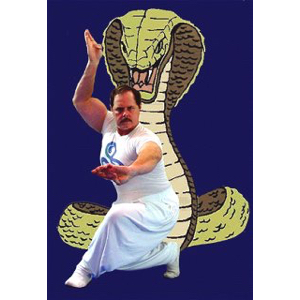 Dr. John Painter, your instructor, is the heir to the Li family Taoist Qigong system. He holds a Ph.D. in Chinese Naturopathic medicine and has over 46 years of experience teaching the internal healing arts. Limited Enrollment / Only a few spaces left so sign up below now !